We have a 7 stage process to build websites / apps and they are as follow: Start, Wireframes, Graphic design, Web design, CMS, Content, Launch. Delighten set up Basecamp to transparently manage your project. to-do lists, among other things. It helps keep everybody’s progress transparent. 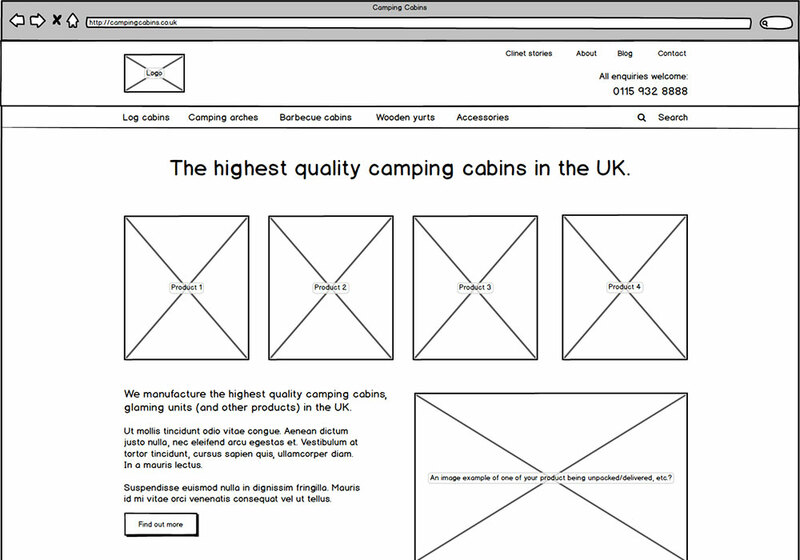 Delighten present wireframe (Balsamiq) mockups of the proposed website, to agree on an overall structure. It helps us sort out functionality, content placement, and navigation. As our starting point we usually create a wireframe of a homepage. Delighten produce three concepts for the website for review, covering a single page each (usually the homepage). The client provides feedback and one concept is then developed, covering the core templates (usually the homepage and a content page). Up to three rounds of revisions may then be done to these pages. The approved graphic design is coded into static web page templates (HTML), available to the client in a test area over the Internet. These pages are made responsive (to fit a mobile and a tablet screen) and have hovered states (i.e. parts may change when your mouse moves over them). The client approves these templates. The web page design is coded into WordPress, the Content Management System Delighten use. Once in this format, both Delighten and the client can begin adding content to the website. Find out more about WordPress. Both Delighten and the client add content (text, images, videos) to the website until it is ready for launch. It is common for some minor refinements to be conducted at this time. The client approves the site to go live on an agreed date. After launch, you can ask Delighten to make changes or additions to your site over time. These may be covered by your support agreement. We revisit all customers at least once a year to ensure they are happy with our services and offer them relevant updates. © Delighten Ltd. 2018. App & web design agency in Derby, Nottingham and Leicester, East Midlands. Delighten also helped to create: Brandpa, and created Weddination.